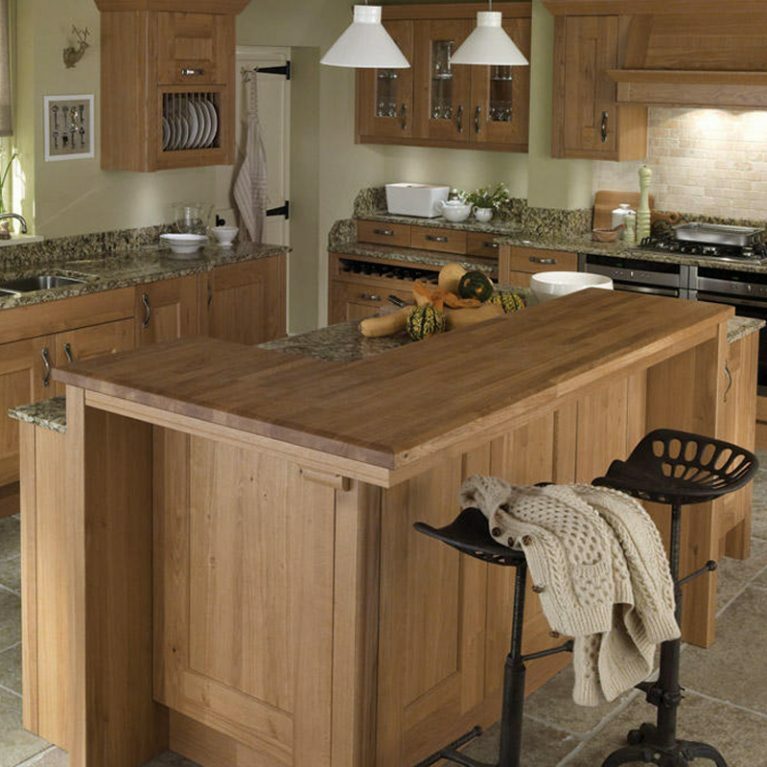 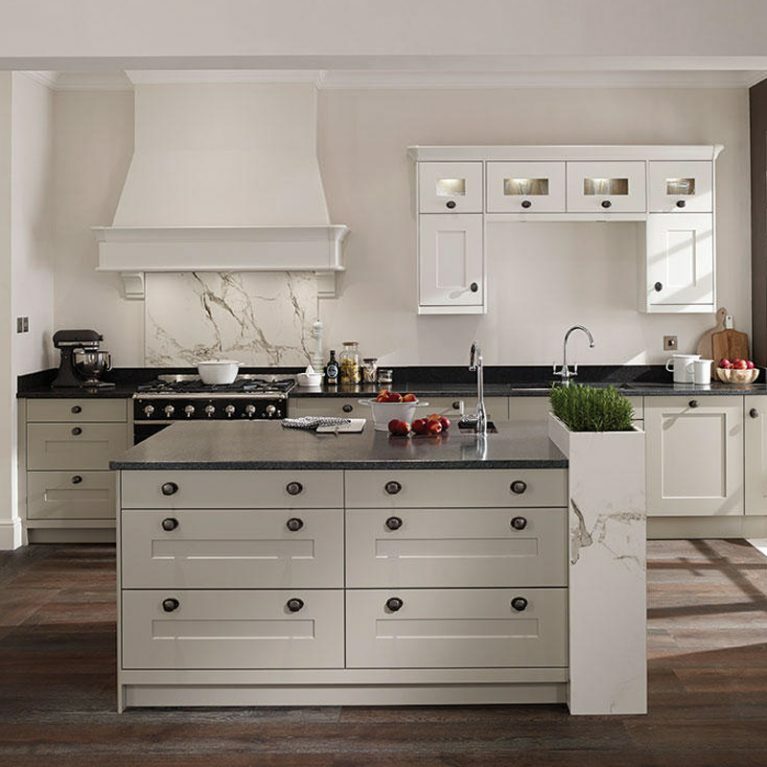 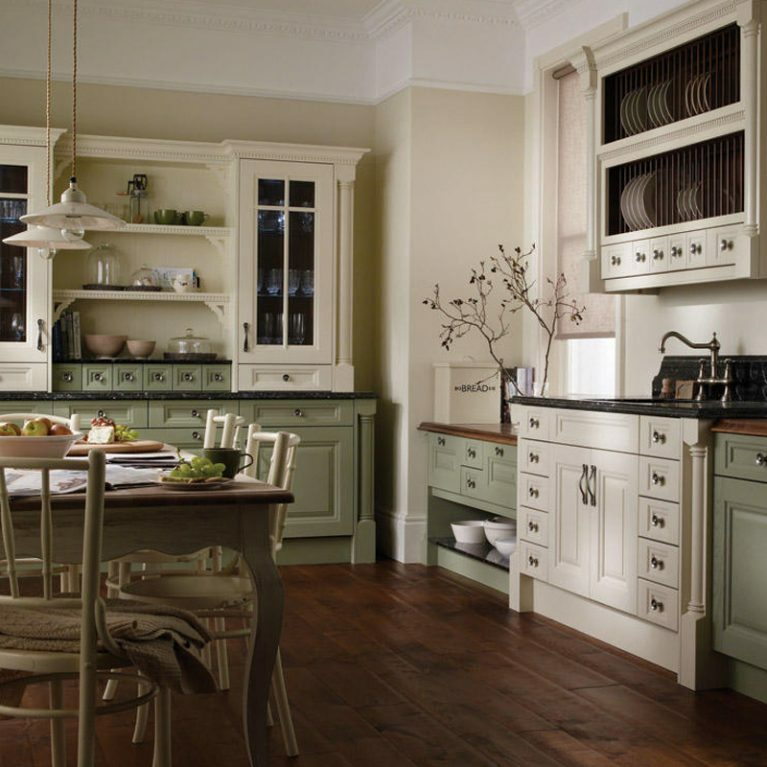 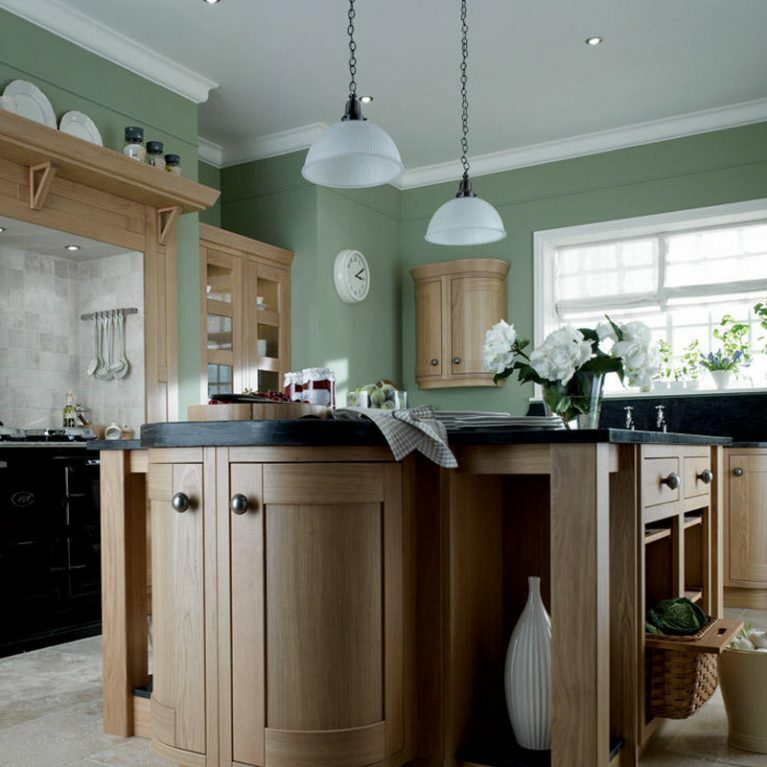 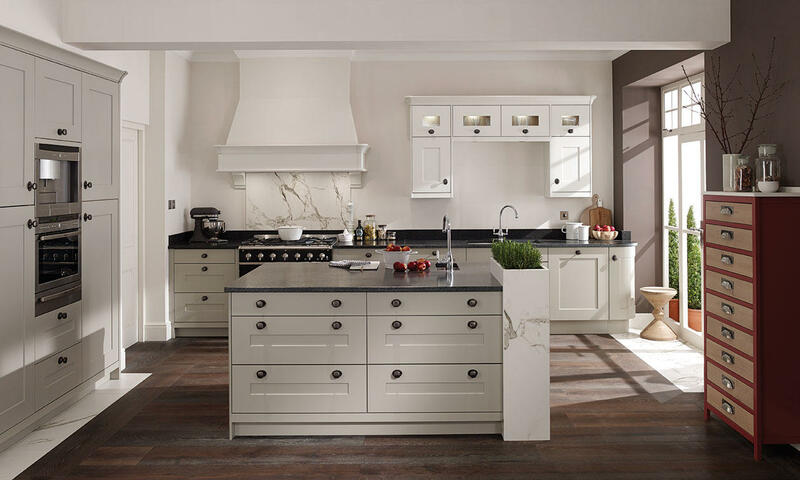 Few kitchens are as perfectly practical as the Fitzroy, and even fewer are that practical and as simply stunning as this gorgeous shaker-style kitchen is. 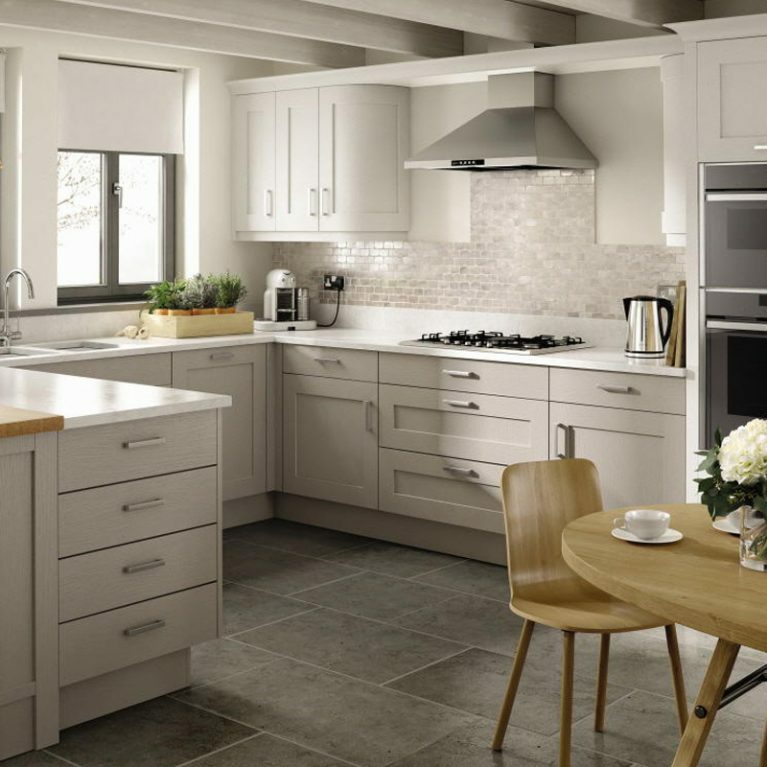 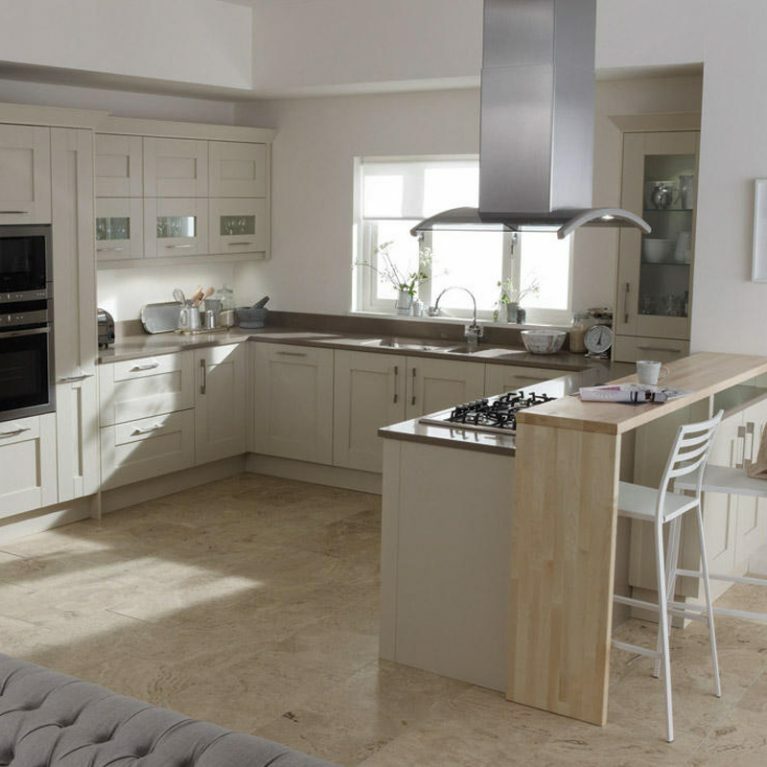 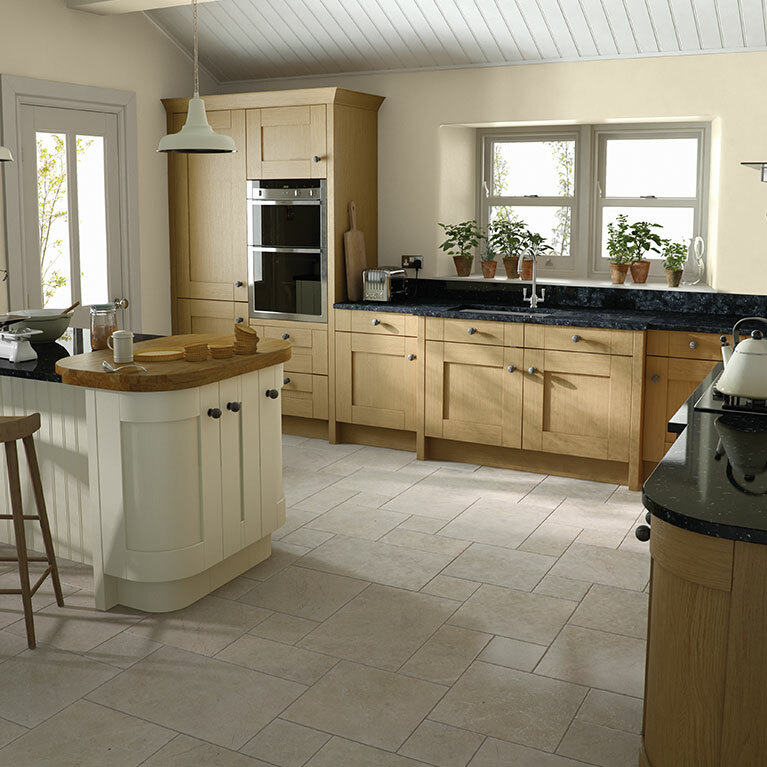 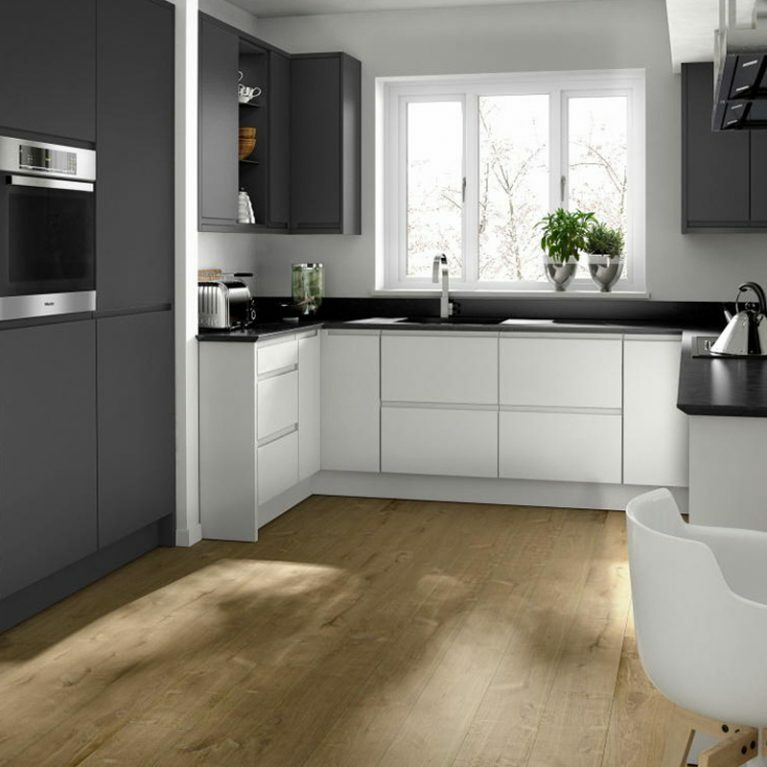 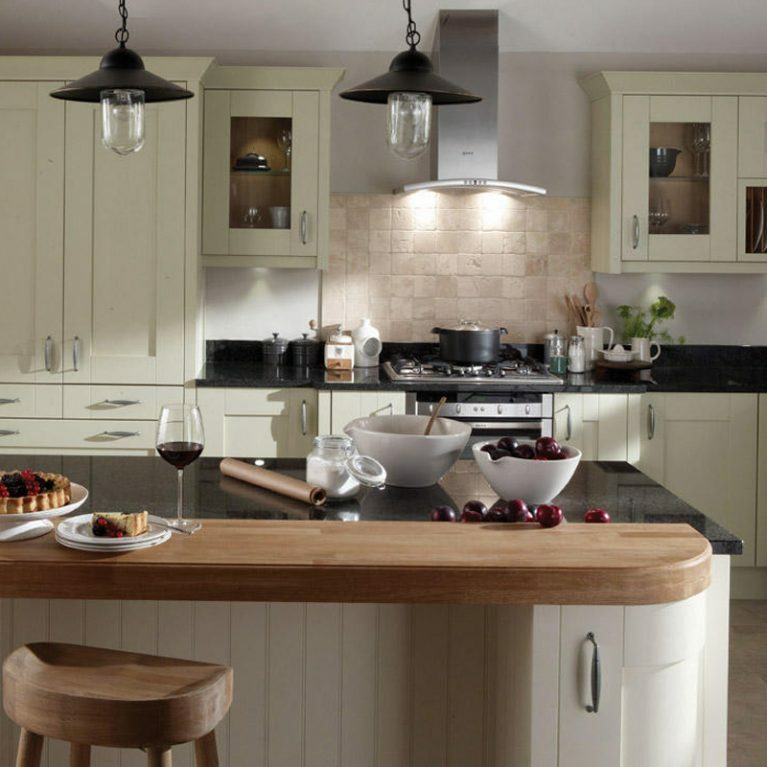 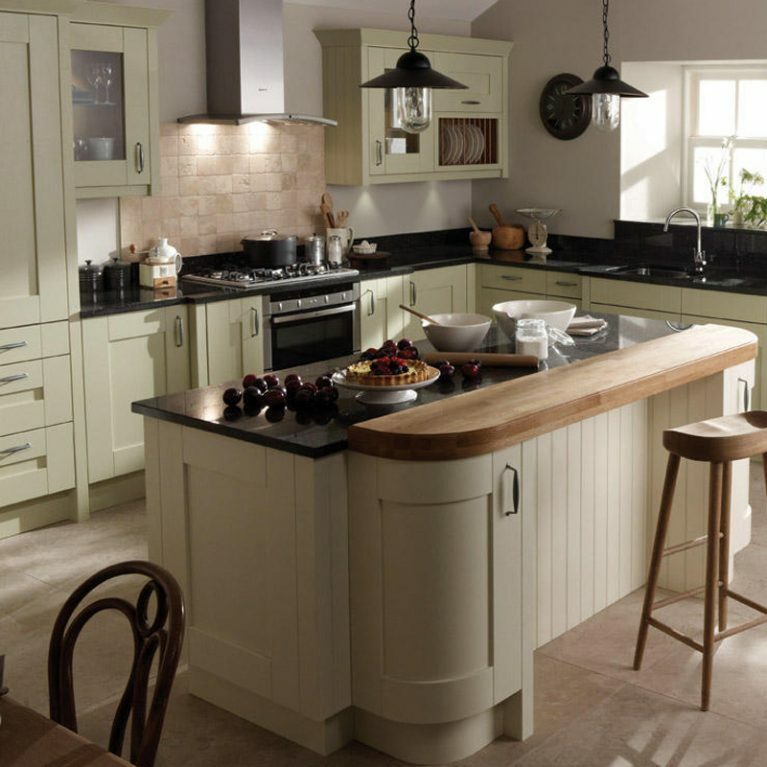 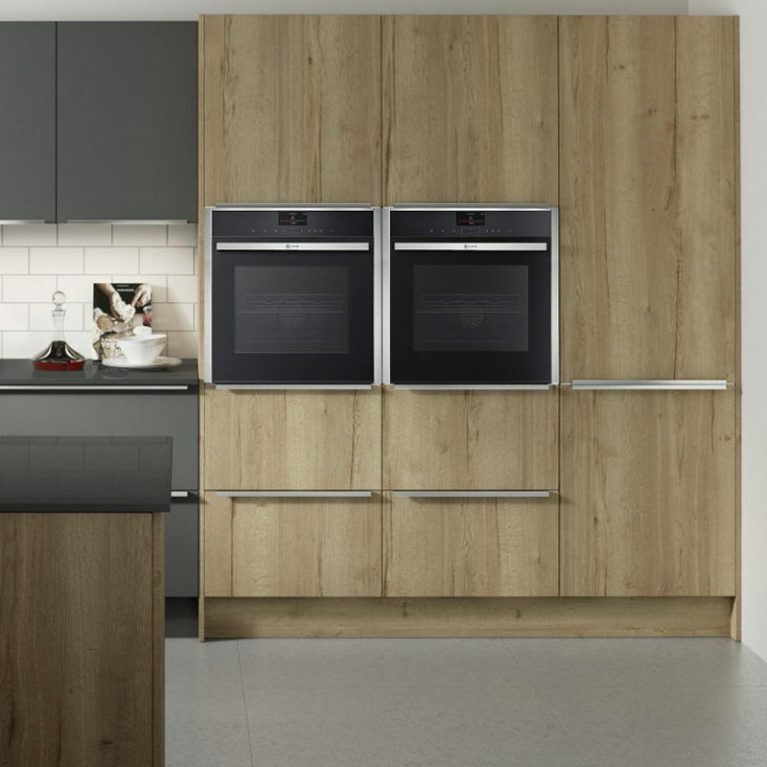 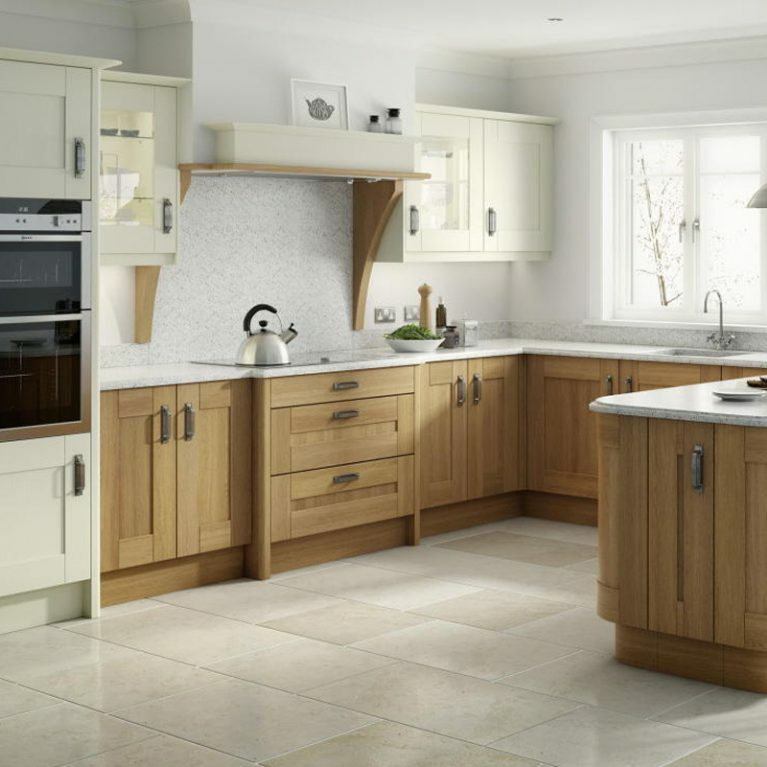 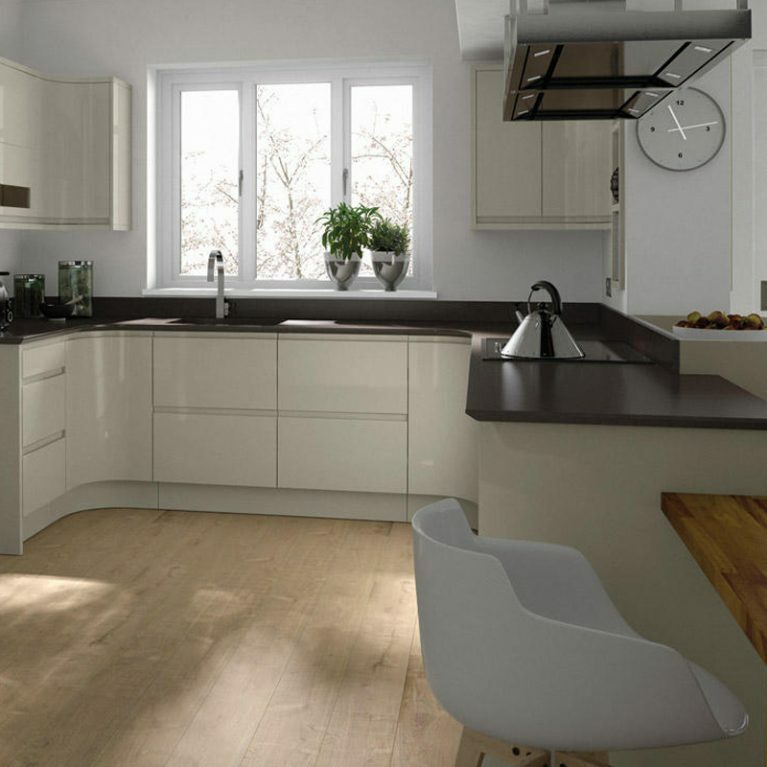 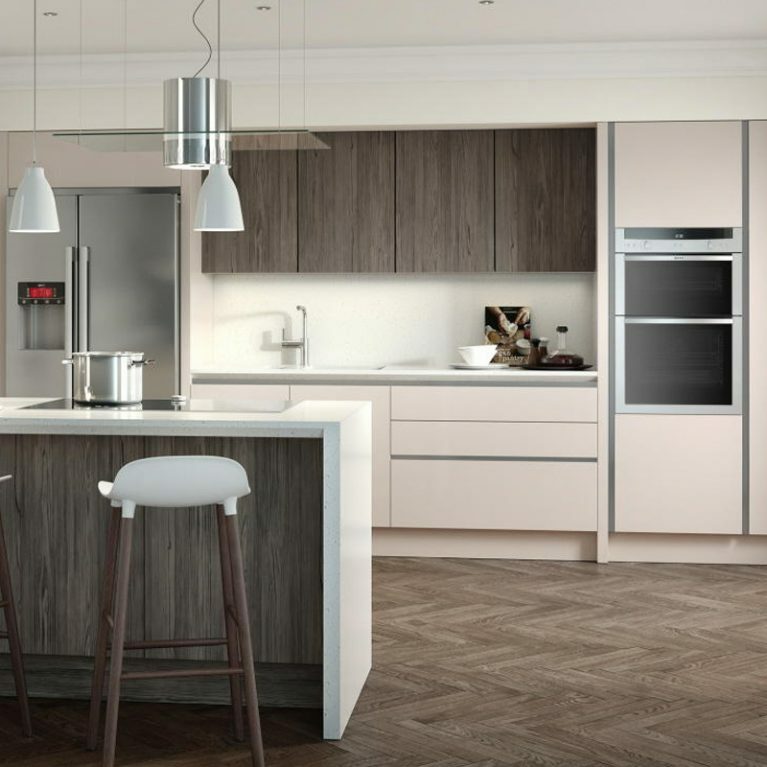 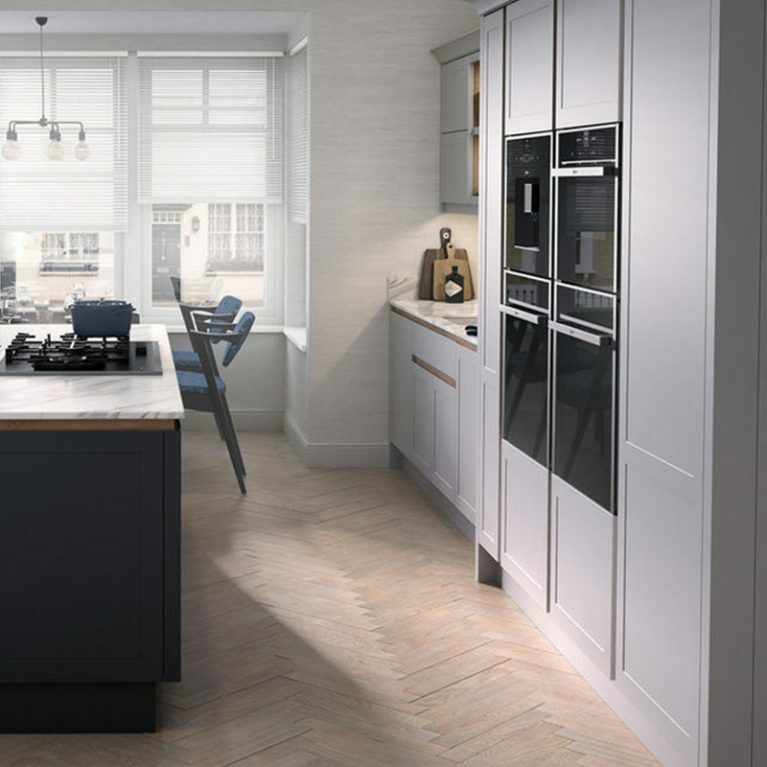 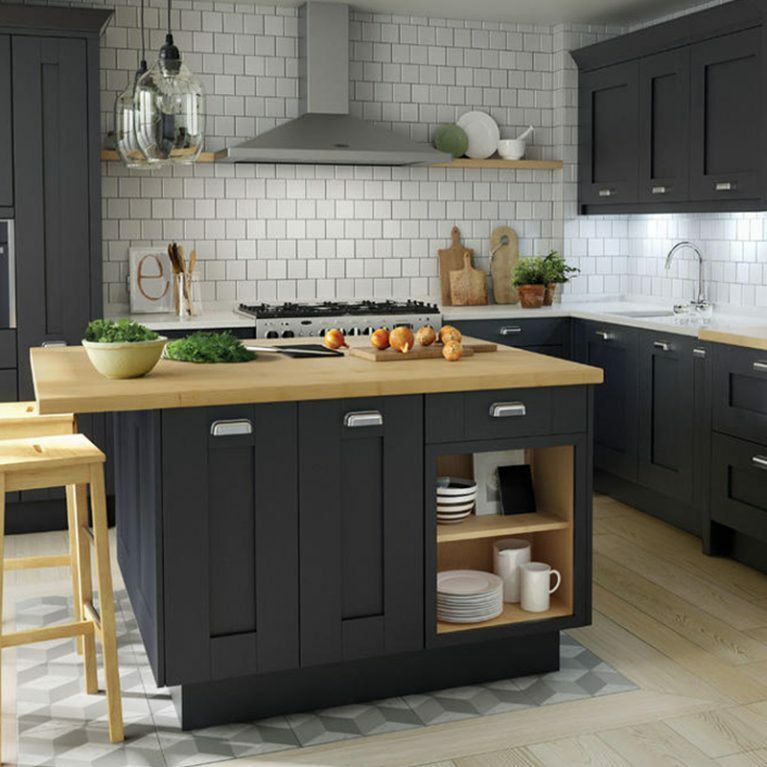 Finished with a wonderful and smooth painted look, the Fitzroy will be an effortlessly chic addition to your home, creating a lovely and open-plan style kitchen design that will stand the test of time. 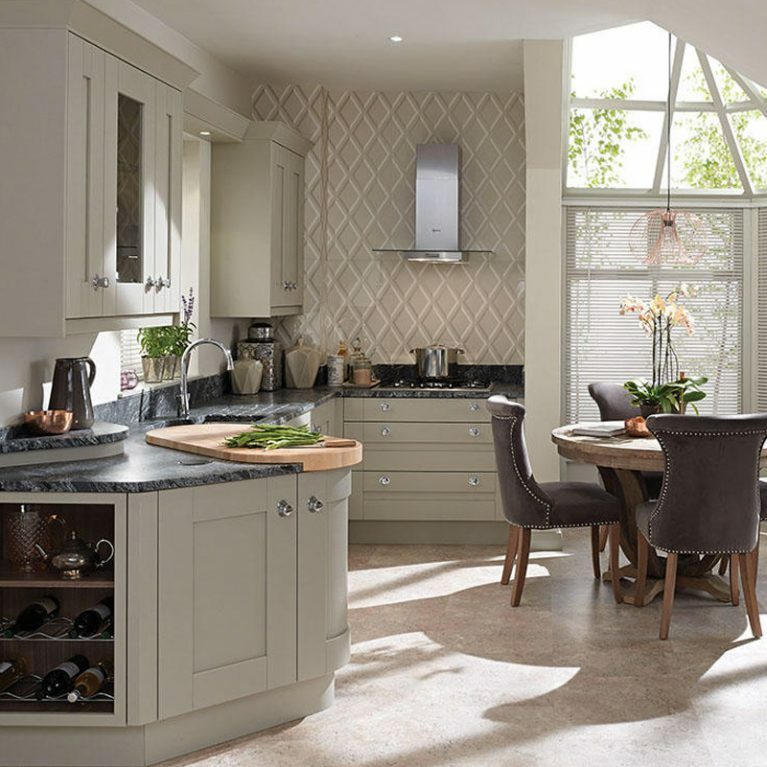 The framed end panels of this stunning kitchen as well as the detail of the cornice show that this kitchen can be perfectly presented with a classic level of detail. 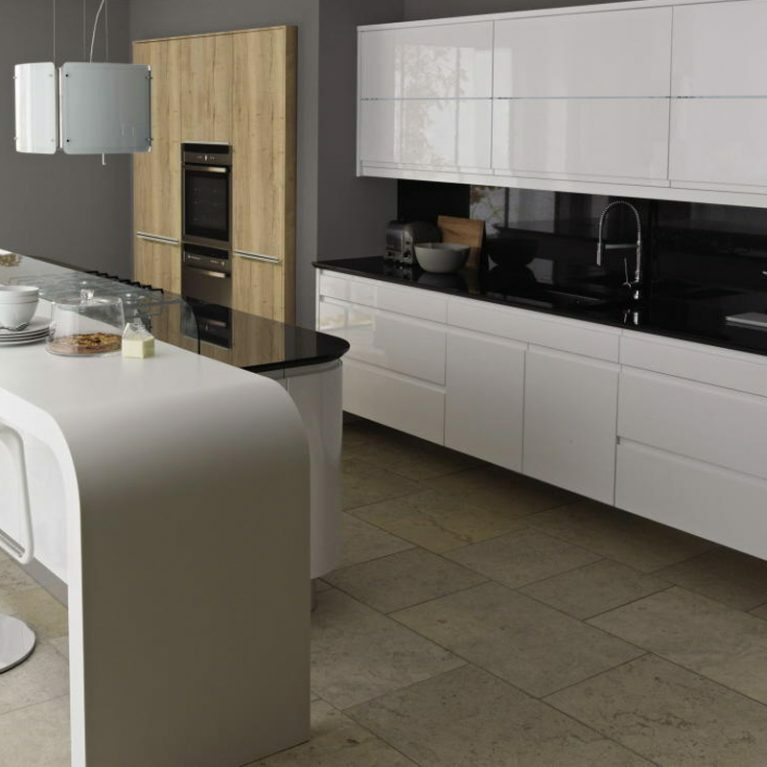 If you prefer a more slick finish, you can opt for cleaner lines. 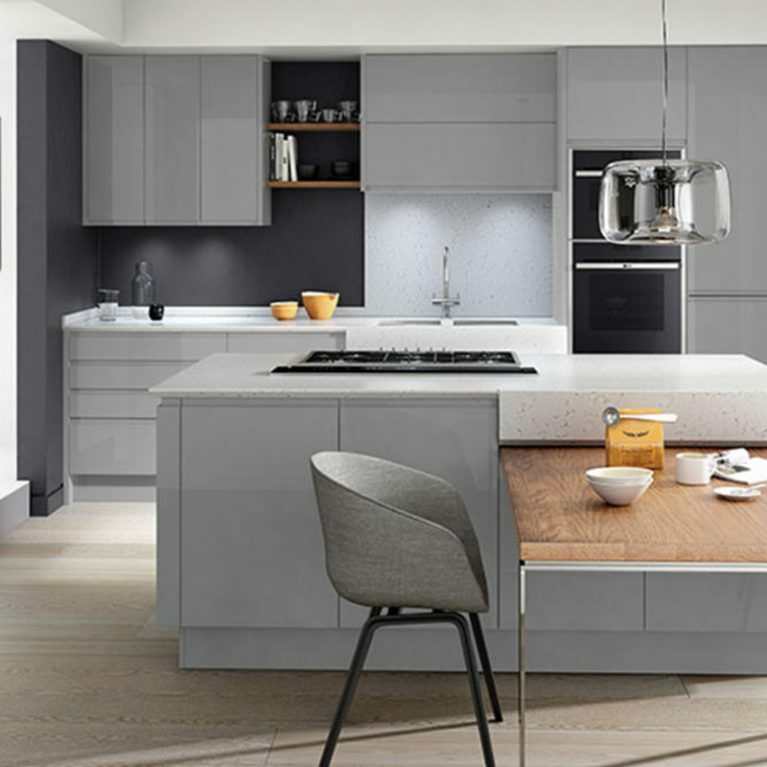 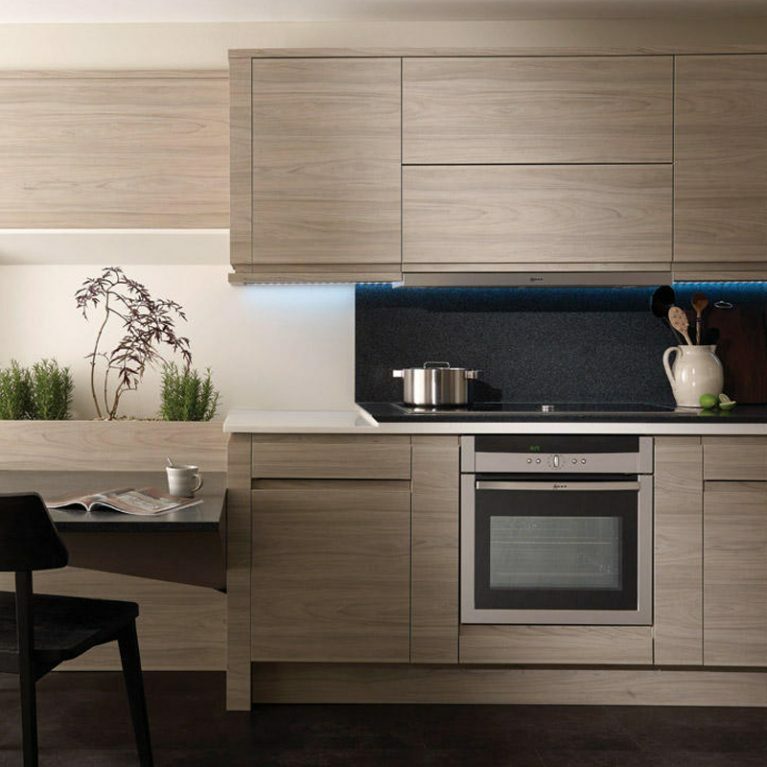 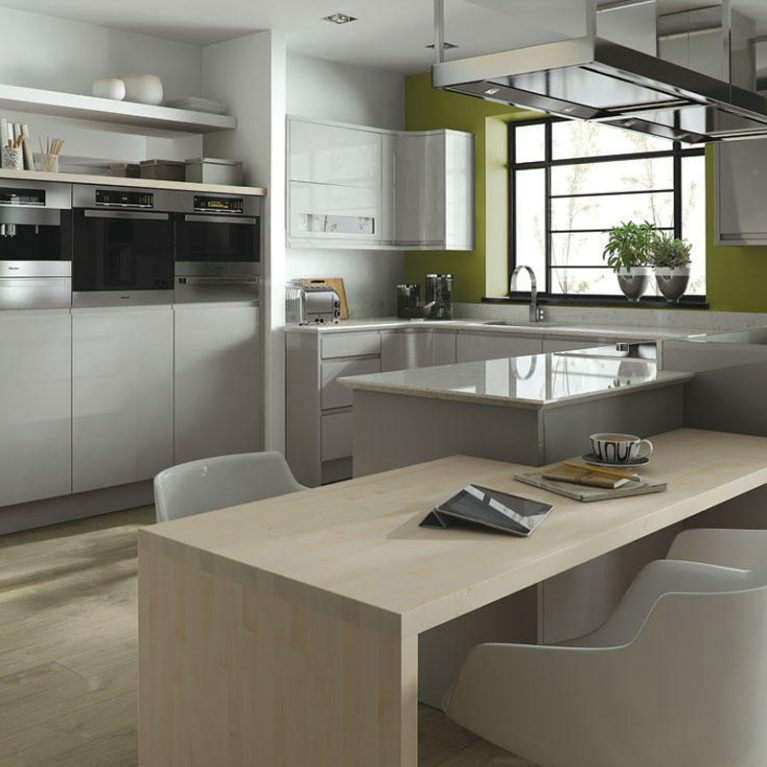 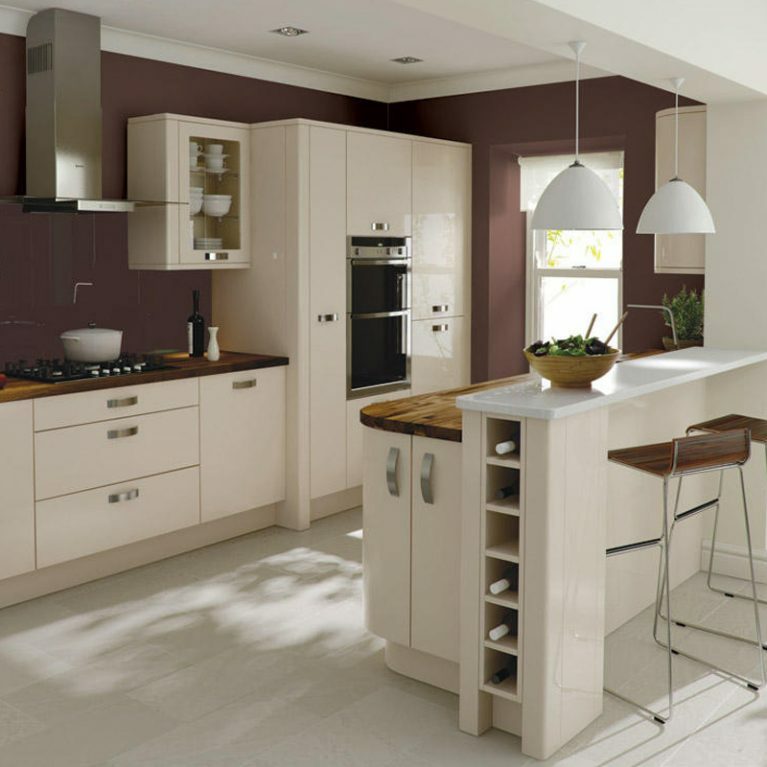 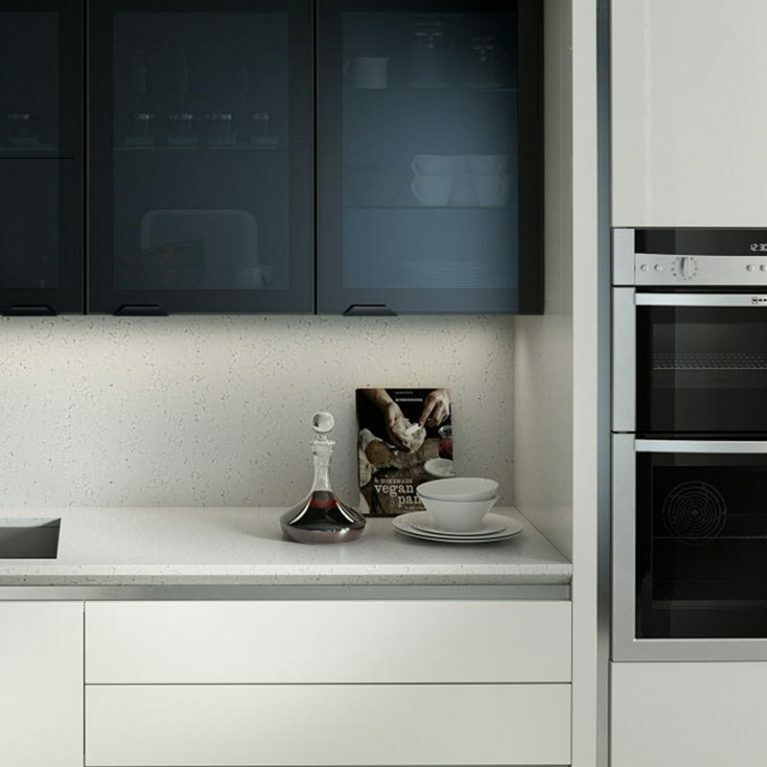 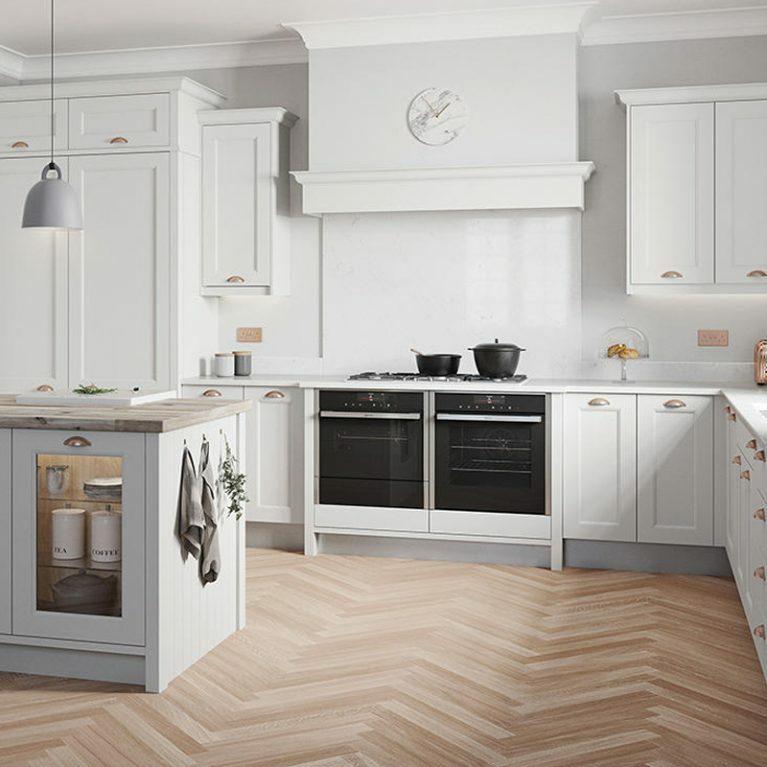 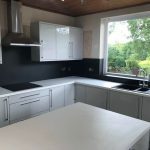 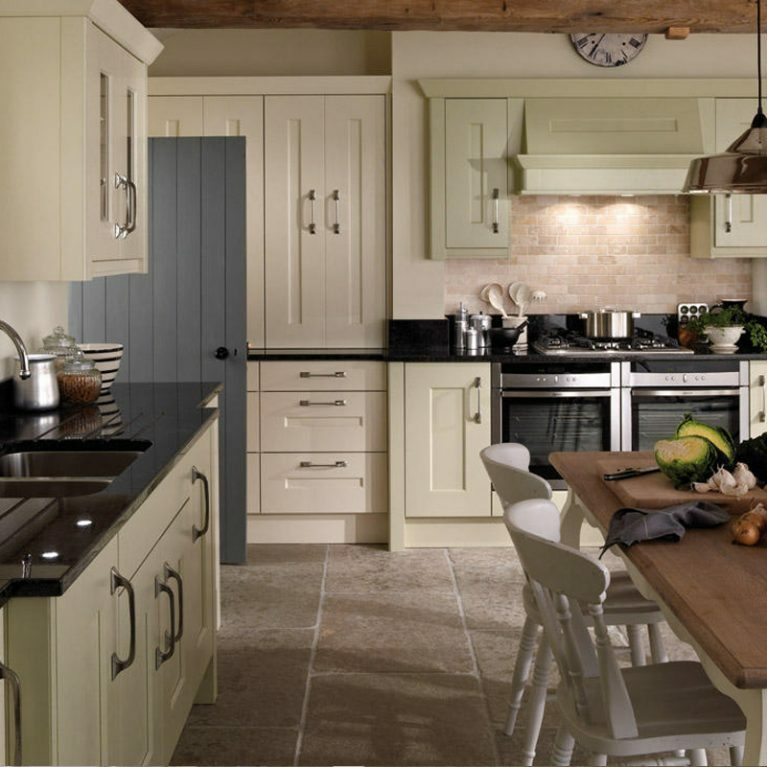 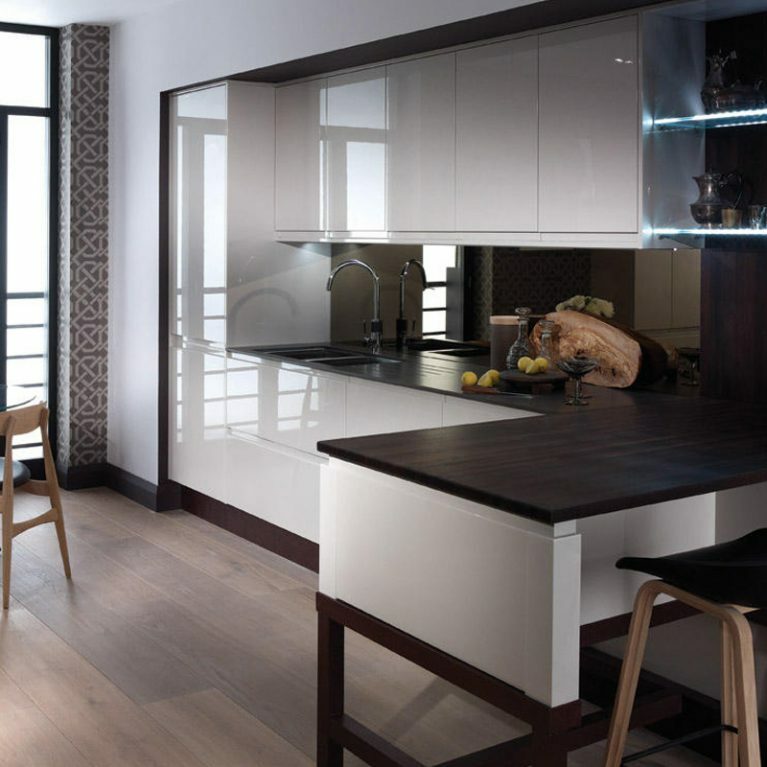 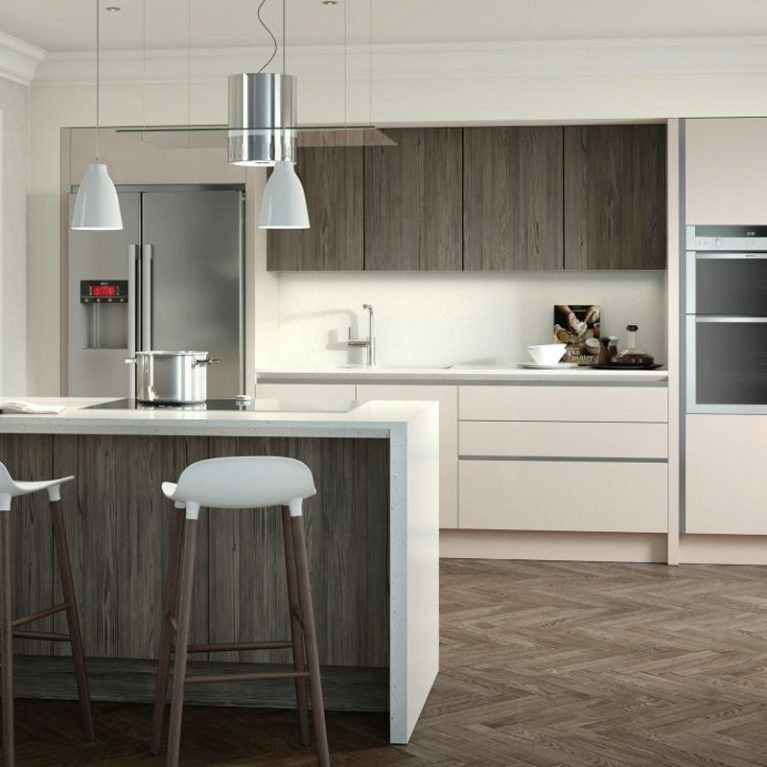 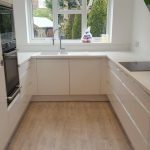 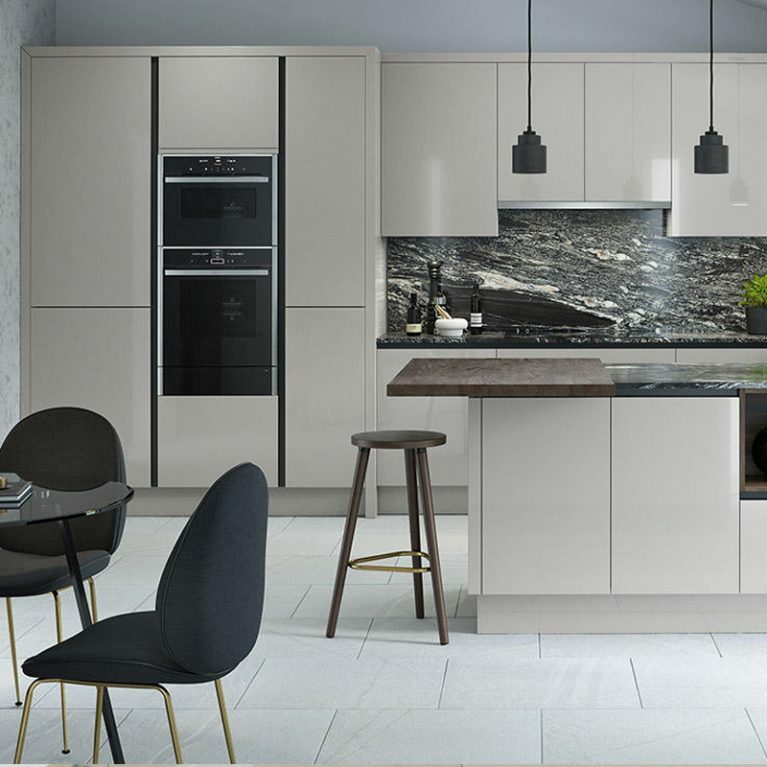 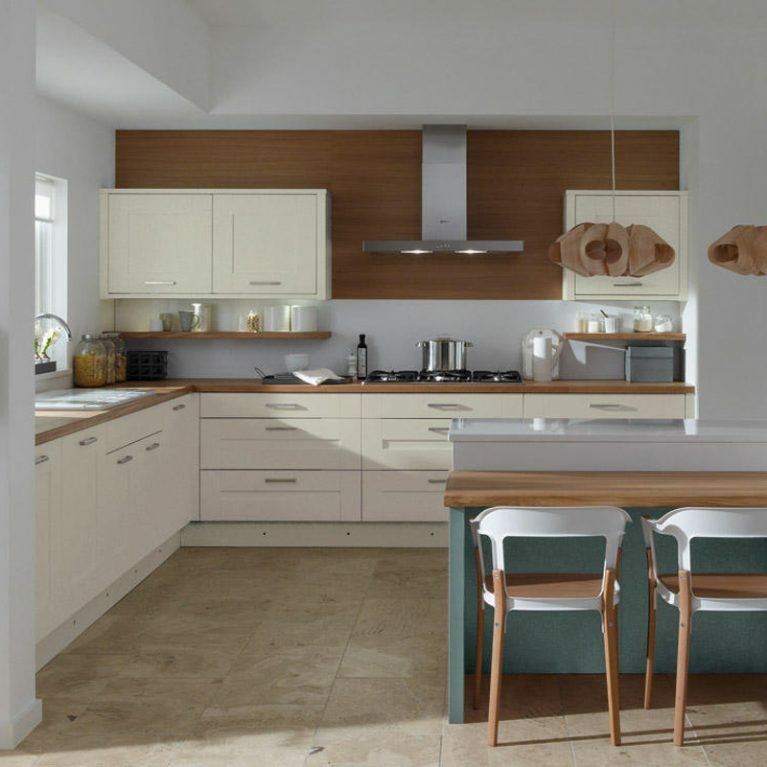 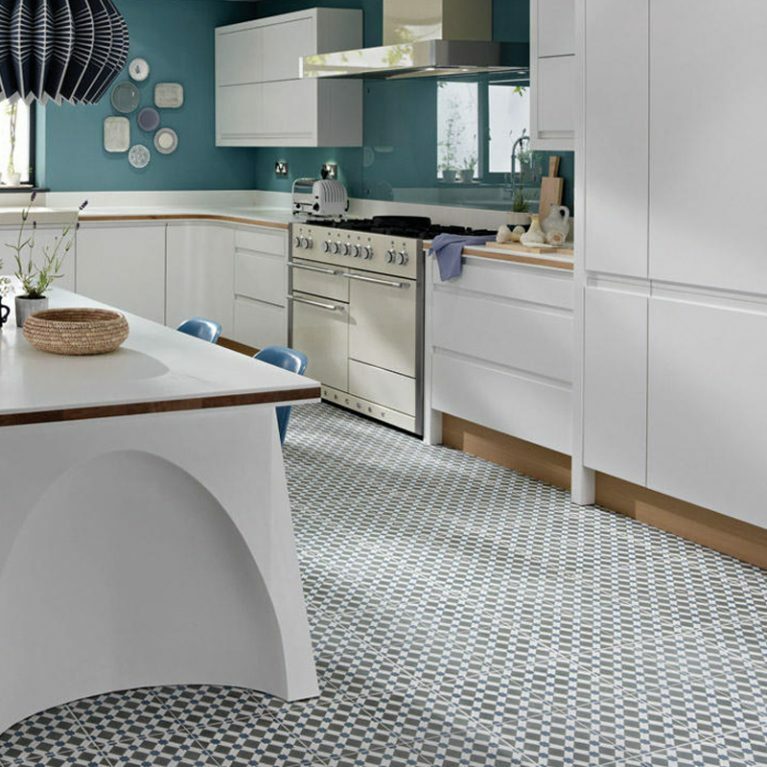 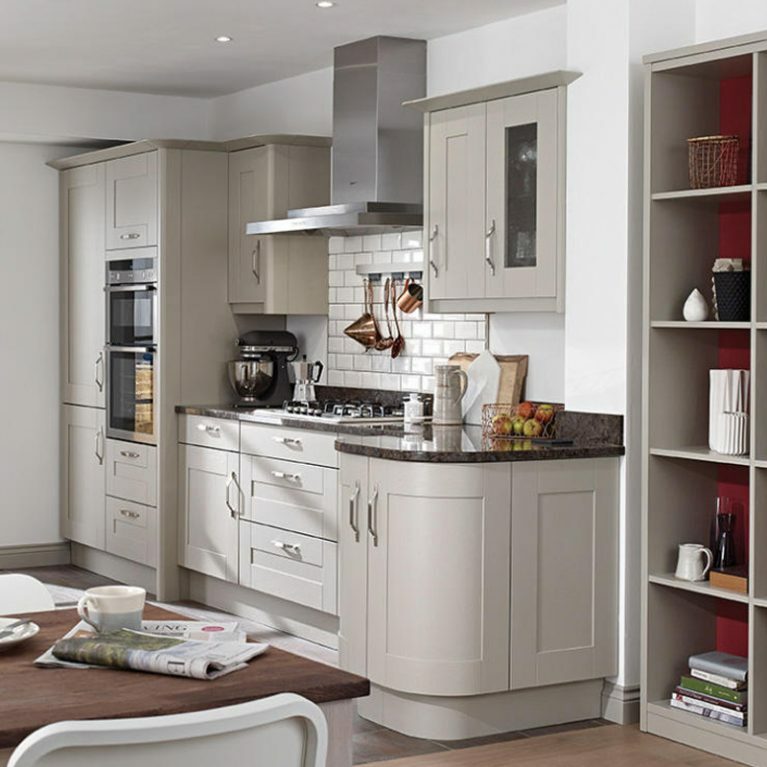 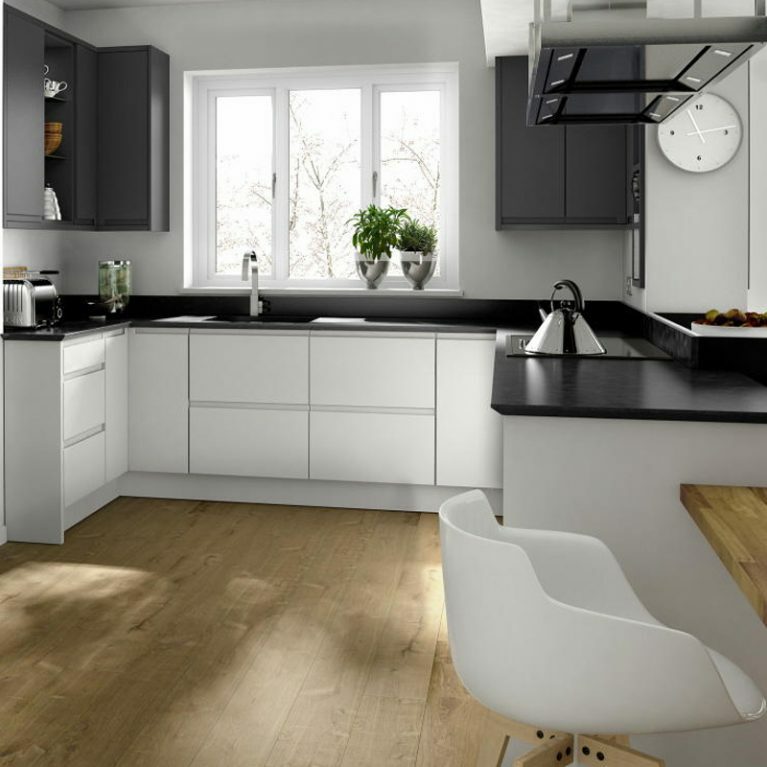 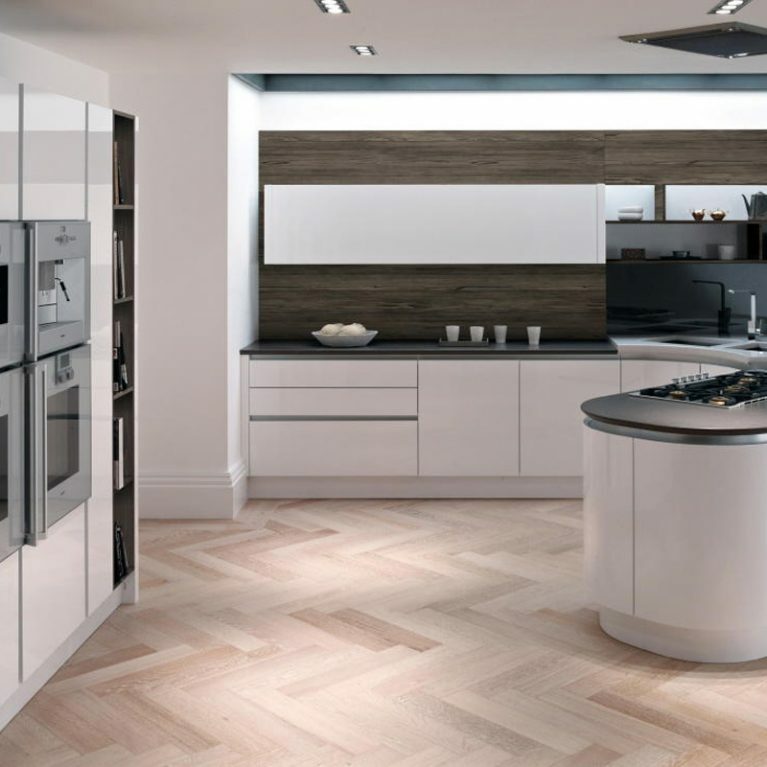 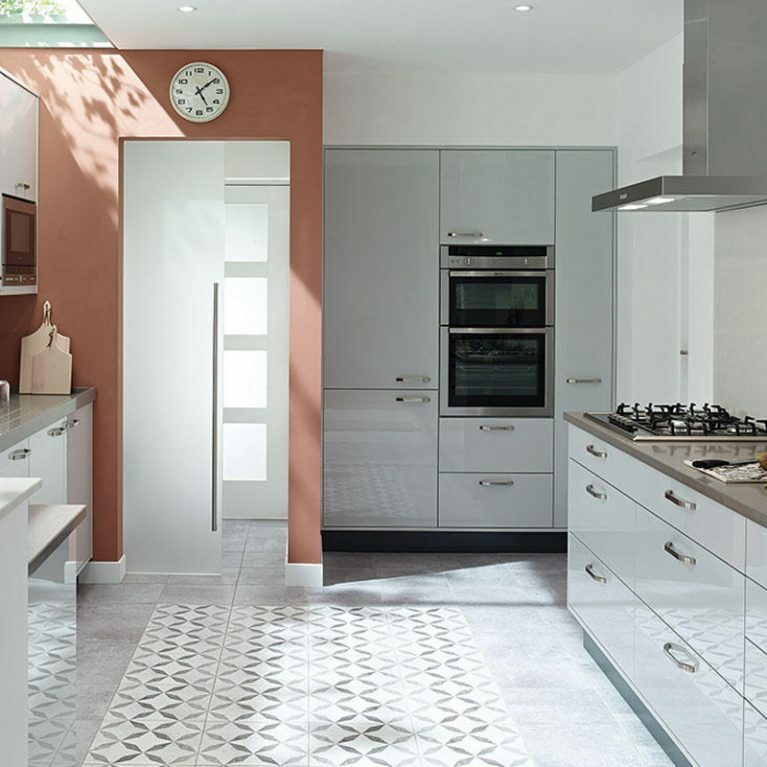 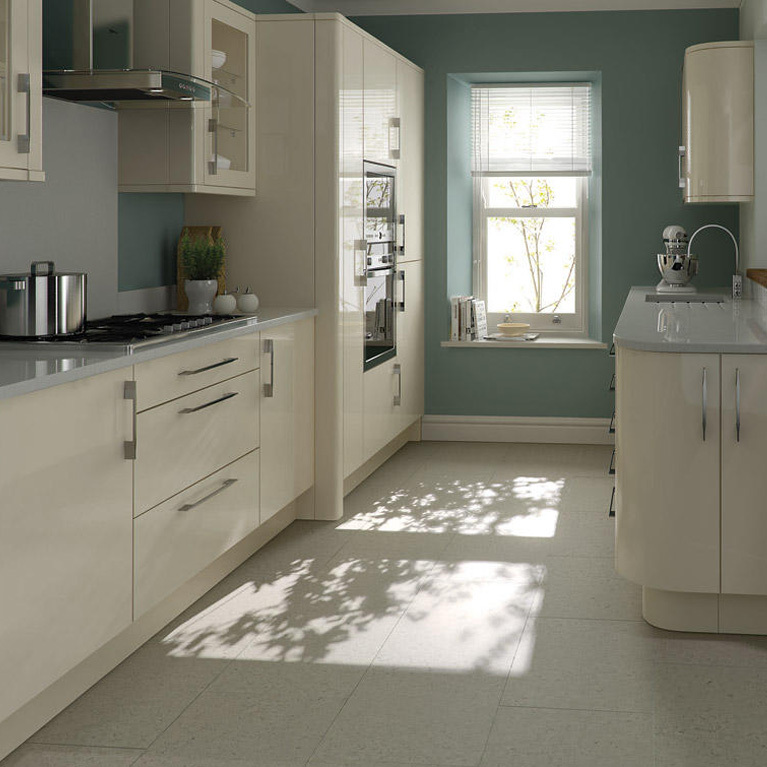 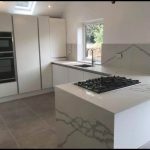 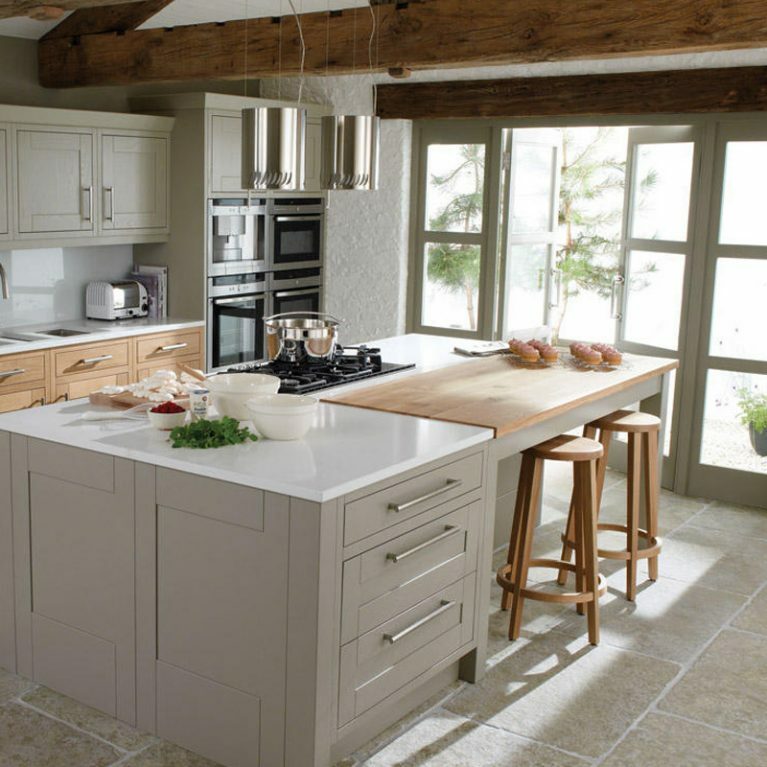 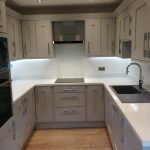 The beauty of the Fitzroy smooth painted kitchen is that it’s completely customisable so that you can bring all of your kitchen dreams to life. 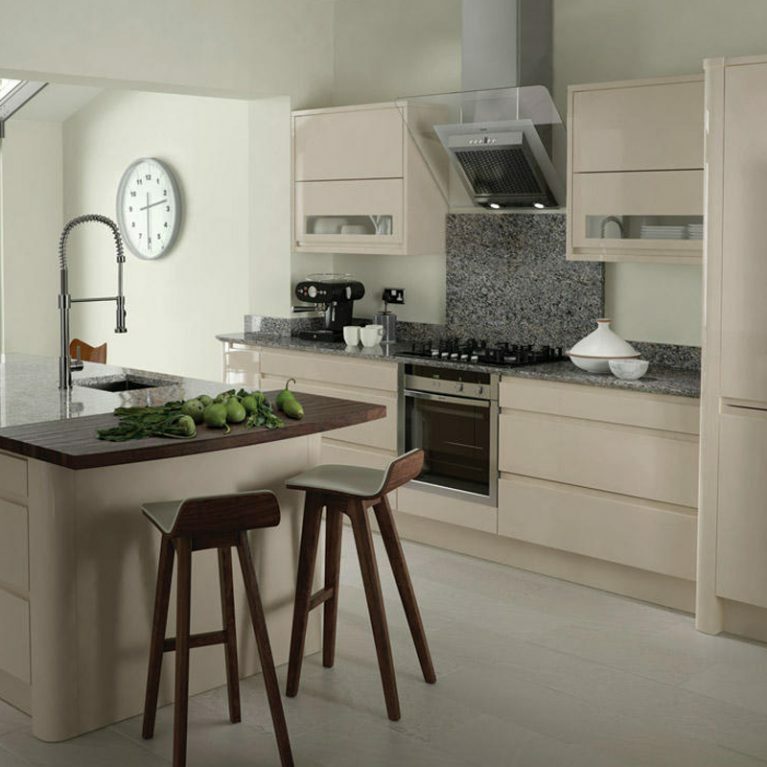 Available in 27 stunning colours, you can choose to customise your Fitzroy smooth and create your perfect kitchen colour palette. 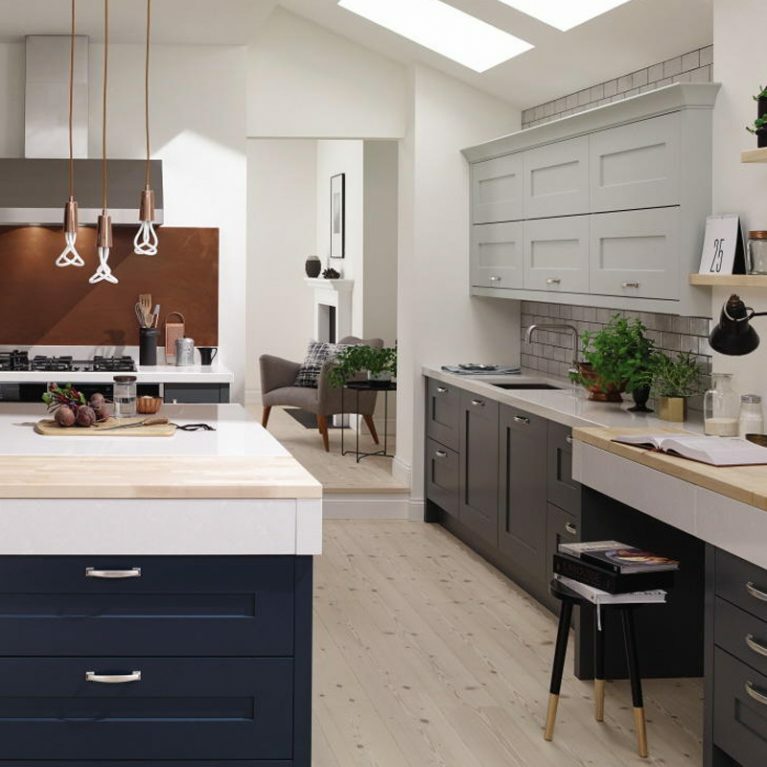 From greens to greys, blues to oranges, there truly is something for everyone, and each of these wonderful colours is available in a matte finish. 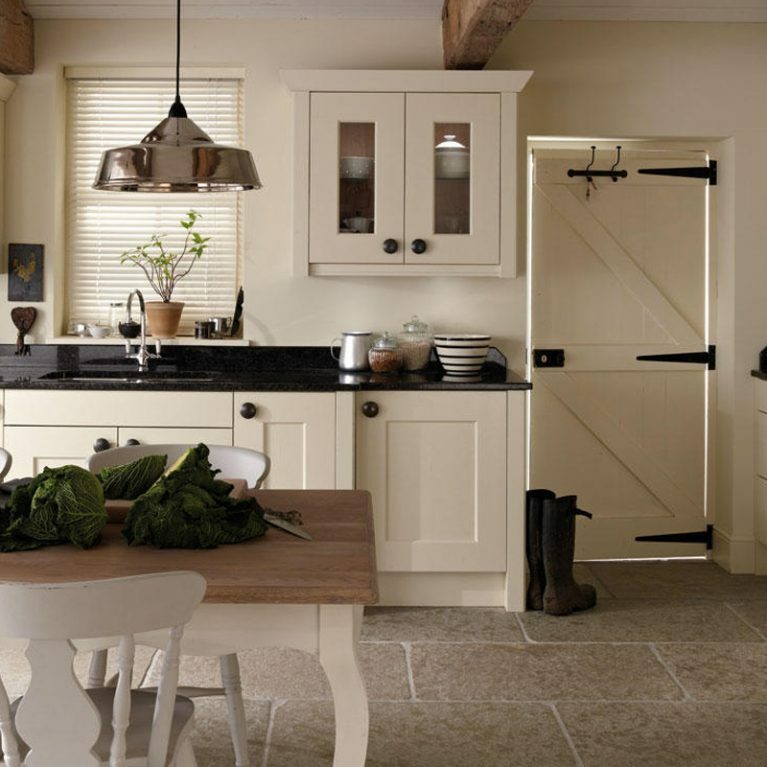 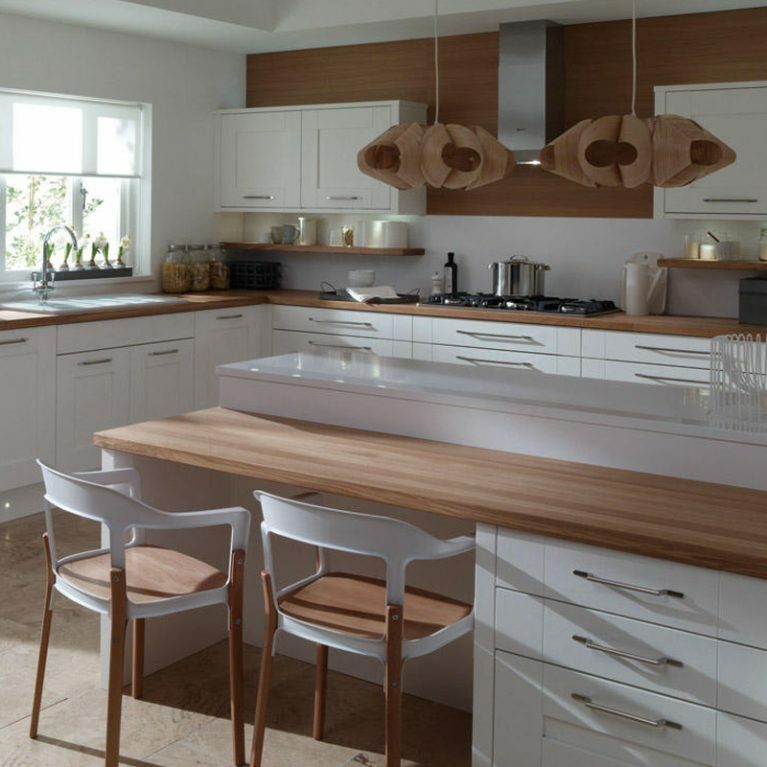 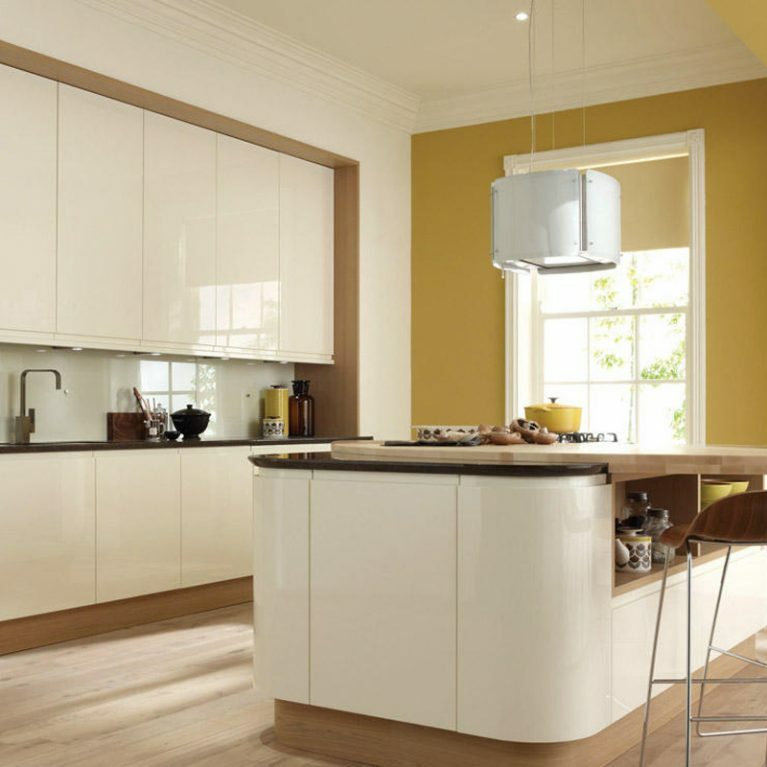 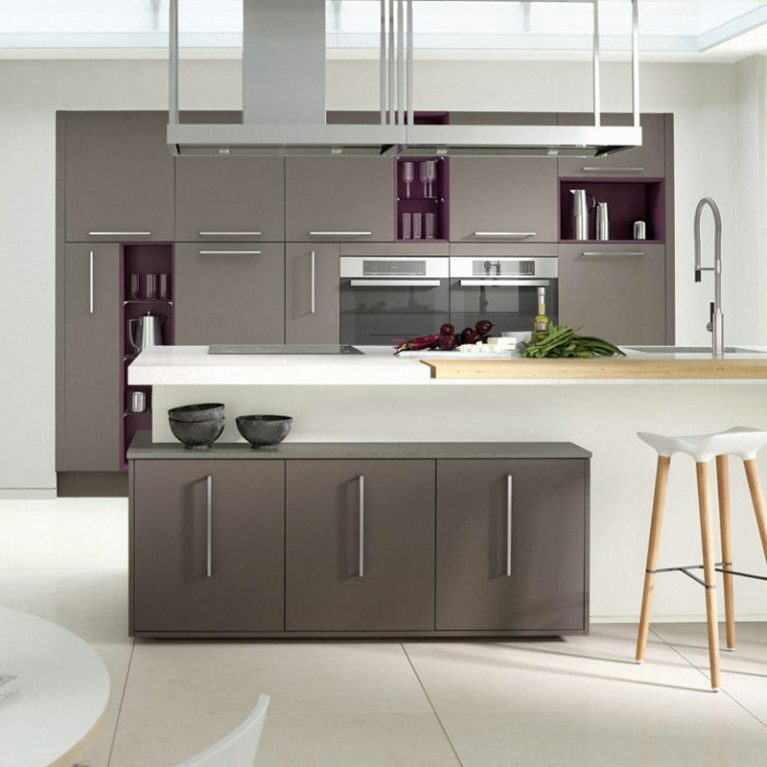 You can choose different surfaces and kitchen door shades to create a wonderful two-tone effect. 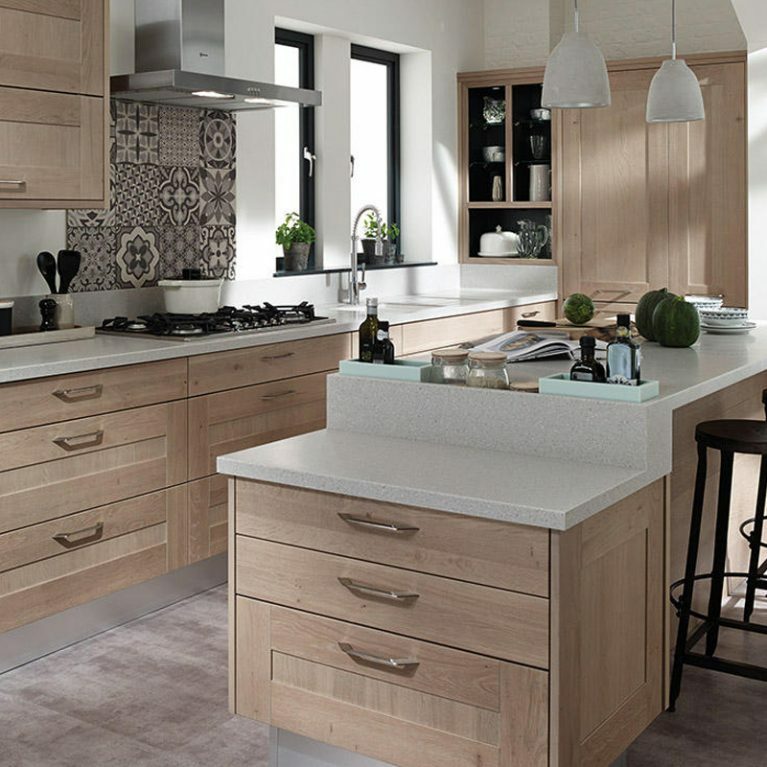 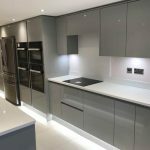 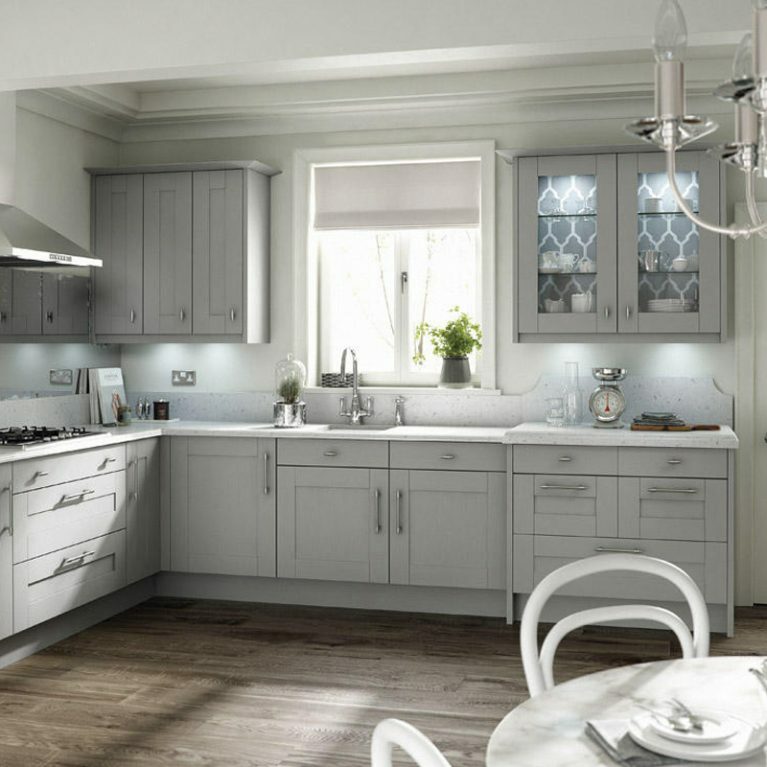 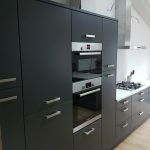 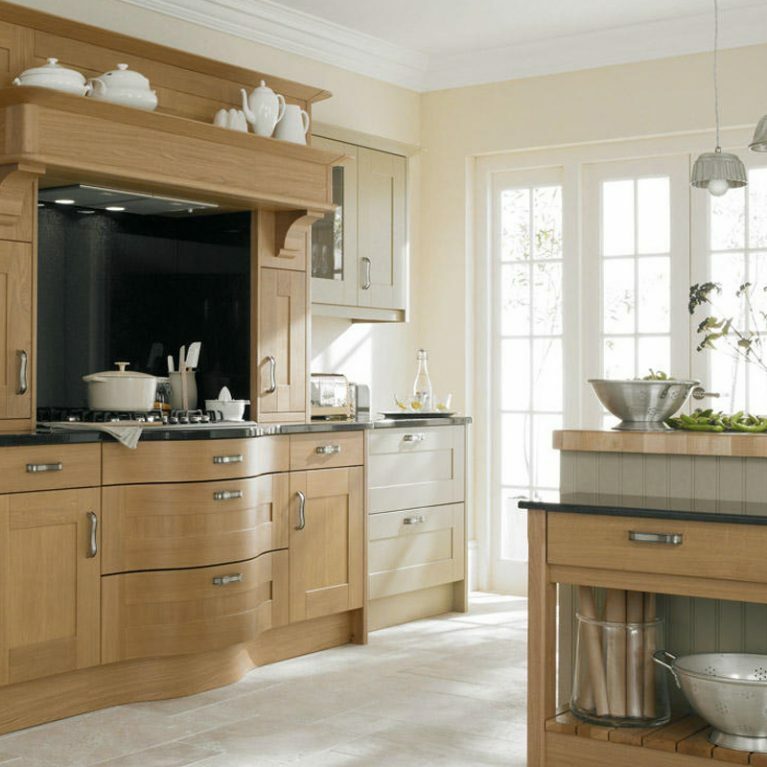 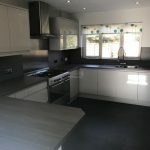 Finished with a fabulous silver knob to each of the kitchen doors, there is a bold and stand-out look to the Fitzroy, which works perfectly with the smooth work surfaces to create a fun, contrasting style. 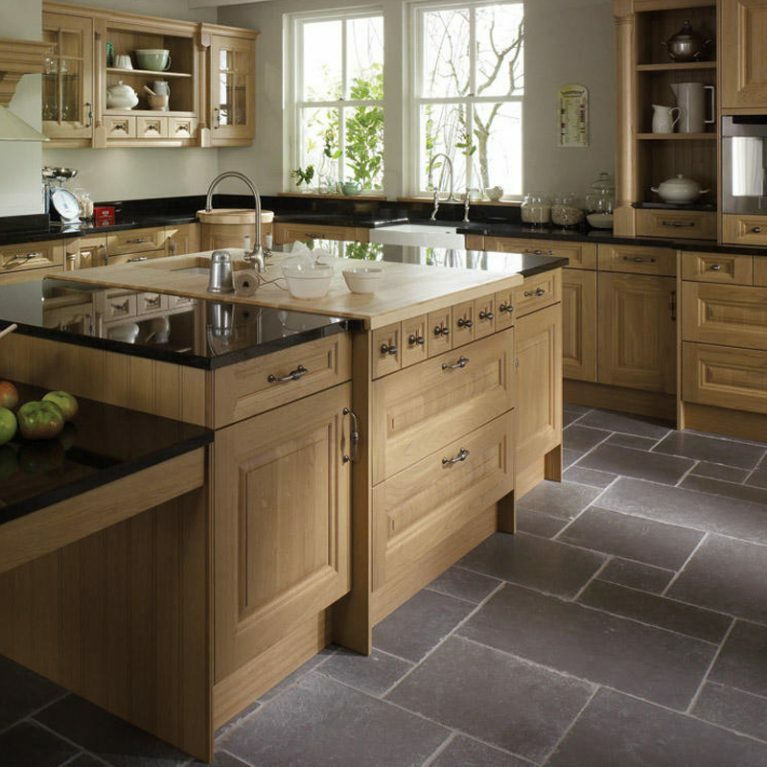 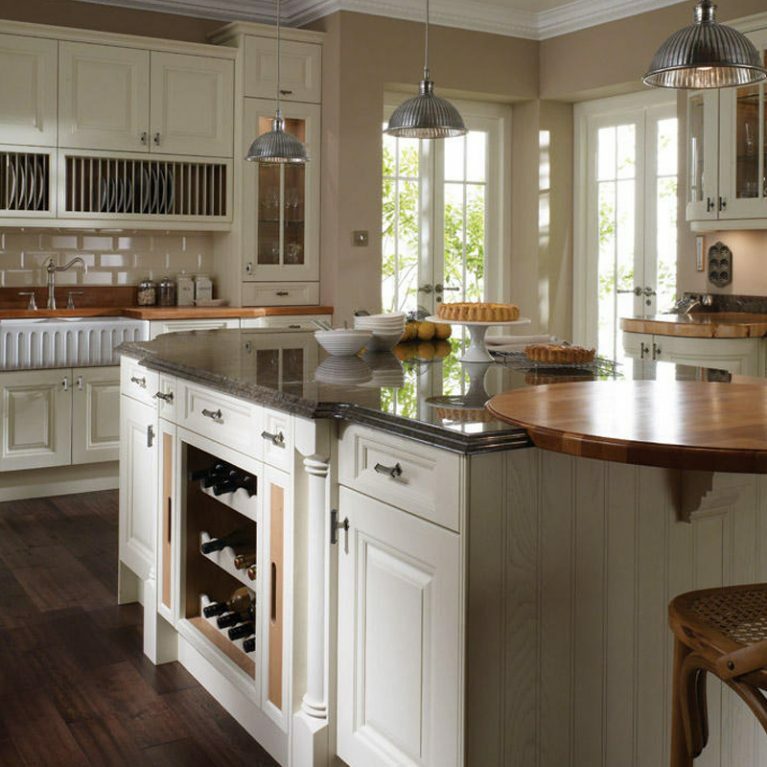 The peninsula in the centre of the kitchen is a truly stunning feature. 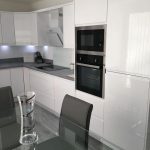 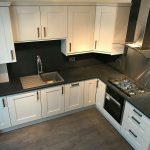 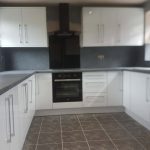 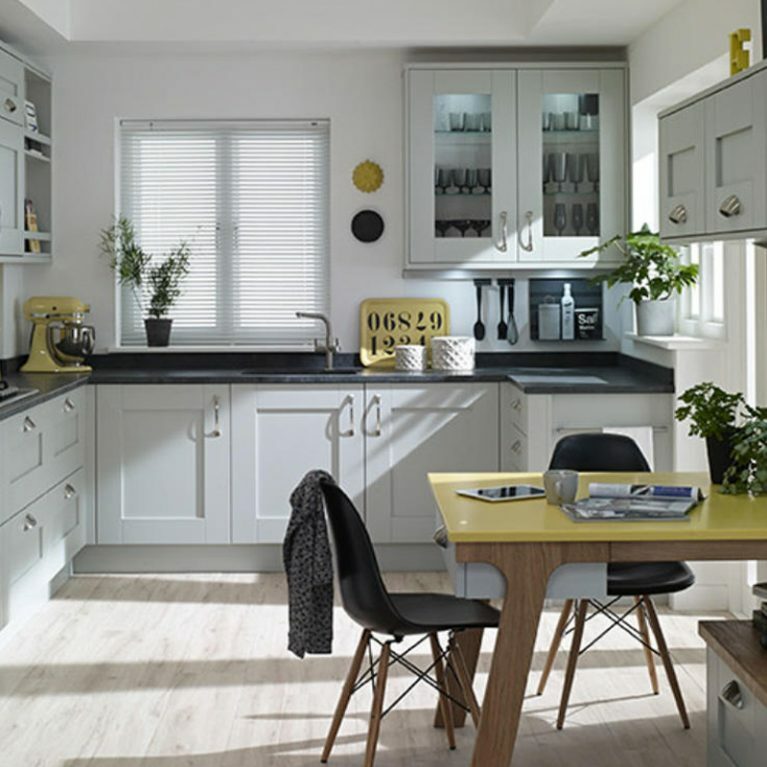 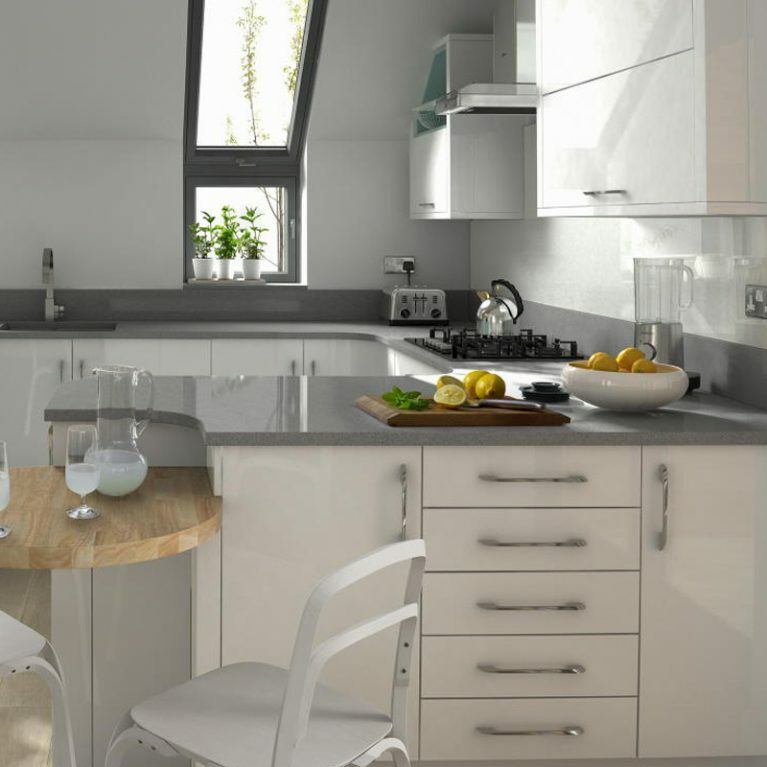 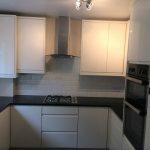 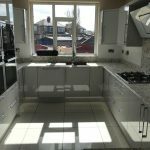 Offering plenty of work space and a host of different storage opportunities too, rest assured that everything in your kitchen will have a home, offering you a gorgeous room that’s free of clutter. 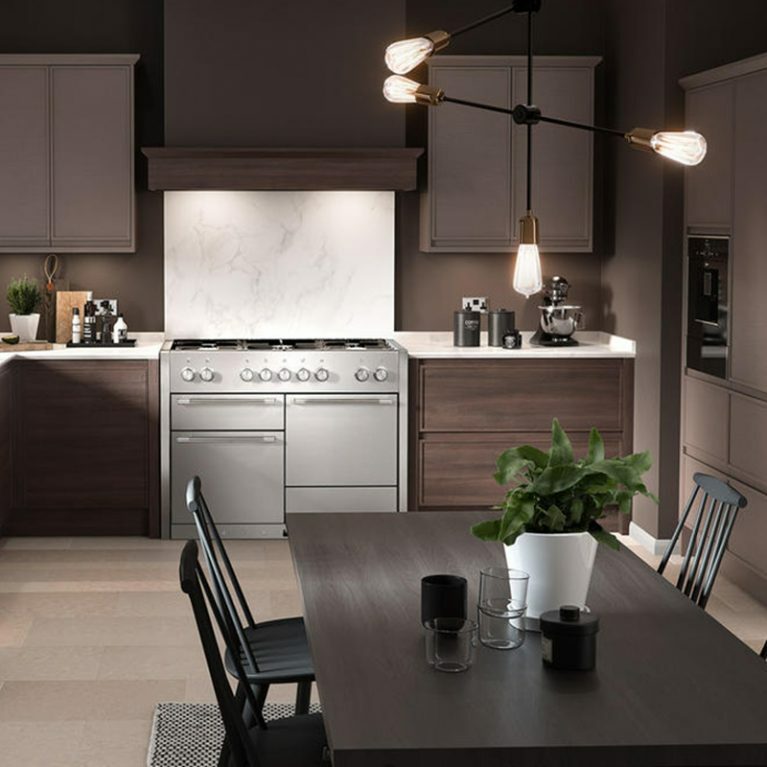 Featuring two gorgeous sink sections each with their own chrome faucet, and a stand-out section for your oven appliances, the Fitzroy smooth painted kitchen truly does offer everything you could possibly need to turn your house into a home.